If your summer has been like ours, you have spent a lot of time grilling! My 7 year enjoys watching his Dad grill but it is a little dangerous for little guys and the hot grill. Now kids can learn to be grill masters too with Barbecue Party, the new action game by Goliath! Players choose a card to see which food item to put on the grill for dinner, but they should watch out! This grill is temperamental and may jump, causing all the food to fall off. The winner is the first player to get 3 items off the grill. Good thing Dad's grill doesn't act like that! Great game for learning fine motor skills and classification! Even my 9 and 11 year old wanted to get in on the action. Something about the awesome looking food with funny eyes caught their attention! Watch the game in action on this video! “Kids love the anticipation in game play and excitement that our action games provide,” said David Norman, president of Goliath Games, LLC. With its jumpy grill and fast paced fun, Barbecue Party is part of an action game line that includes international classics like Goliath’s Pop the Pig and Doggie Doo and is sure to provide hours of entertainment. Barbeque Party is for two or more players ages four and up and does not require batteries. If you’re looking for fun that sizzles, play Barbecue Party, and see if you will be grill master or dinner disaster! 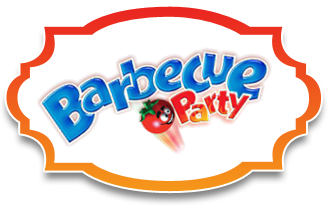 Find Barbecue Party at Amazon, Walmart and Toys R Us. Get it now while the summer is still sizzling!